Must I file bankruptcy prior to being sued? Must I file bankruptcy prior to the judgment being filed? Is it true that I can’t discharge the debt once there’s a judgment entered? Once there’s a judgment, will they take my house? Confusion abounds. And one of my Skribit questions (look over to the right, middle of this page) prompted me to address these issues. It’s a piece of paper. What it does is acts as a lien (called a “judicial lien“) on any real estate the judgment debtor (guy or gal who owes the money) has in the county in which the judgment is recorded. Here’s an example. A sues B in Dorchester County, South Carolina. A gets a judgment for $20,000. A then has a judicial lien against any of B’s real estate in Dorchester County. If B has no real estate in Dorchester County, then A has no lien. However, let’s say B has real estate in Berkeley County. A only has a lien if he records the judgment in Berkeley County. At first, it seems like a problem. And sometimes it is. But remember this, too. “First in time is first in right.” That means that if there are mortgages recorded prior to the recording of the judgment lien, they have priority. Let’s say we have property worth $100,000 with a mortgage for $100,000. Any judicial lien coming afterward isn’t worth much. Why? Because the lender with the mortgage has priority over the judgment lien creditor. Again, first in time is first in right. So it really might not be a problem. And if it is, the Bankruptcy Code has a “fix” for the problem. The Bankruptcy Code allows a debtor to “avoid” a judicial lien to the extent it impairs the debtor’s exemption in the property. I know what you just heard: Charlie Brown’s teacher–wa, wo, wa, wa, wa, wa with some bla, bla, bla. It’s a mouthful of blather. So let me break it down a bit. Let’s say you have a home worth $100,000. You owe $50,000 on a mortgage. This means you have $50,000 of equity in the property. (Equity is the value less any liens.) Under South Carolina law, if this is your homestead, you can exempt–or keep–$53,375 in equity. And you have less than that amount, so you’re golden as far as your homestead exemption goes. But let’s say you had a judgment filed in your county for $50,000. First, we have the mortgage of $50,000 (first in time is first in right). Then we have the judicial lien for $50,000. Well, you don’t look so golden any more. The judicial lien just gobbled up your equity. Ouch! This section says you can “avoid” (set aside) the judicial lien to the extent it (the judicial lien) impairs your exemption in the property. Here, that’s your $50,000 you had prior to the recording of the judgment. You can then file a motion to avoid the lien so you can get back to enjoying your $50,000 equity. So there’s usually nothing to panic about. Sure, filing bankruptcy before the judgment comes will save you a little hassle (no 522(f) motion would be needed), but it’s nothing to fret about. You’re not required to file prior to that lawsuit becoming a judgment. What if there is no Equity in the property that the lien is against? Scenario – Homeowner is underwater on their property and is facing foreclosure by the 1st Mortgagor and there are Judgments recorded in the County the Property is located in. 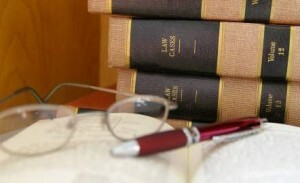 The judicial lien can still be avoided (set aside, terminated). Thanks for your comment and for reading. I’m not sure I’m understanding your column correctly. Using your example, if you have a home worth $100,000 and a mortgage of $50,000, you have $50,000 in equity. You also have a judgment for $30,000. If you decide to sell your home, and it sells for $100,000, does the $30, 000 come out of that equity? One more question, please. For example, let’s say the equity in my home is $90,000 and I have a $30,000 judgment. Since only $53,000 is protected, can the judgment creditor force a sale to satisfy the judgment? To question one, yes. If you sold your home the judgment lien (also called a judicial lien) would need to be paid just like, for example, a mortgage. However, if you file bankruptcy, you could “avoid” (wipe out, terminate) that lien. Later, if you sold your home, you would NOT have to pay the judgment lien. To question two, yes, at least theoretically. You have $90,000 of equity and can protect only $53,375 in South Carolina. However, keep in mind if you own the property with your spouse, you double the exemption, so you’d have 2X $53,375. Also, if the judgment lien creditor wants to sell your property, they know they must first pay off the mortgage. Execution sales don’t result in property being sold at fair market value, so the judgment creditor would probably just do nothing. The lien would be in place for 10 years. You stated in your previous reply to my message that if there was no equity in the property that the Judgement could possibly be set aside or terminated. I have a 9 year, 10 month old judgement, the creditor has filed a foreclosure, if the foreclosure sale doesn’t produce enough for my homestead exemption, would he be required to pay the difference? Also, I bought the house 13 years ago, and since married, does my wife qualify for the double exemption? Lastly, I have an IRS lien, filed after the initial judgement, but for years of taxes prior to the judgement, who gets subordinated? Call the office and we’ll schedule and appointment to go over your issues. Thanks. So basically if a credit card company files a judgement against someone for 5000 dollars but they don’t actually own a house then there is nothing they can do? Hello.What if theres no equity in the prorperty the lien is against?What happens to the lien?